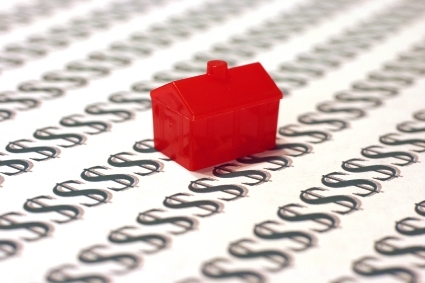 Mortgage application volume grew slightly during the week ending Feb. 2 as the activity share of refinance applications sank, according to the Weekly Mortgage Applications Survey released by the Mortgage Bankers Association. The MBA’s Market Composite Index, which measures loan application volume, rose 2.6% on a seasonally adjusted basis and gained 4% on an unadjusted basis. The Refinance Index also ticked up 1% from the previous period. The seasonally adjusted Purchase Index remained unchanged. On an unadjusted basis, the Purchase Index increased 7% compared with the previous period and was 8% higher compared to the same week in 2017. The refinance share of mortgage activity slid to its lowest level since July, falling to 46.4% from 47.48% in the previous period. Adjustable-rate mortgage (ARM) applications accounted for 6.1% of total applications, an increase from the previous 5.7% share. The share of FHA applications dropped to 10.4% from 10.7%, while the VA share was steady at 10.1%. The USDA share of total applications decreased to 0.7% from 0.8%. Average rates for both conforming and jumbo 30-year fixed-rate mortgages increased to their highest levels since April 2014. Rates for mortgages with conforming loan balances averaged 4.5%, up from 4.41%, with points for 80% loan-to-value ratio loans increasing to 0.57 from 0.56. Mortgages with jumbo loan balances posted an average 4.47% rate, up from 4.37%, with points increasing to 0.44 from 0.40. The average rate for 30-year fixed-rate mortgages backed by the FHA rose to 4.47% from 4.40%, with points increasing to 0.69 from 0.68. Rates for the 15-year fixed-rate mortgage jumped to their highest level since April 2011 at 3.92%, up from 3.85%, with points rising to 0.65 from 0.6. The average rate for 5/1 ARMs decreased to 3.77% from 3.79%, with points increasing to 0.42 from 0.41.